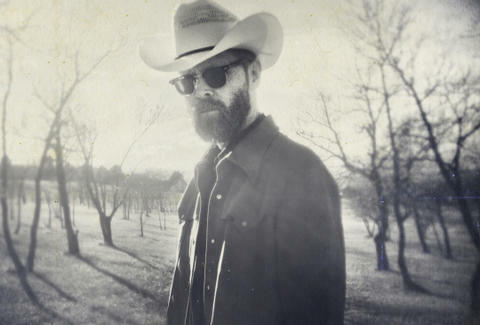 Days out from his pilgrimage to SXSW, we sat down with Slim Cessna, lead singer of Denver's hard-rockabilly...ing Slim Cessna's Auto Club, to chat about Austin's PBRiest music festival, trigger-happy Colfax audiences, and precisely which member of the Club changes the tires to his '96 Camry. What's your favorite dive on Colfax? I happen to be partial, though I haven't been there for years, to the Lion's Lair. Do you have any good stories from drinking there? One time we played at the Lion's Lair and someone got shot. That was pretty good. It was '96, '97. Holy s**t. They didn't die, right? No. It happened down in front of the stage and then the cops came and that was that. That was a pretty good one. I think we're the only band that's happened to at the Lion's Lair. So you had to stop the show, I guess? Yeah, that was pretty much the show. Do you think your music had anything to do with it? Do you know what they were screaming about? There were just two guys who came to our show. I don't know what they got upset about. Sorry, I'm eating a chicken sandwich. Do you have any stories about when you guys actually needed roadside assistance? Has your bus broken down? Yeah, tons of times. Not lately. We drive one of those new Mercedes Sprinter vans now because we got so tired...we got spoiled when we went to Europe because that's pretty much the only thing you can rent. And it was so nice. So in the States we come back to our '88 Dodge Camper. It breaks down on every tour. It was like, "God, what're we doing?" What do you drive when you're not driving the Sprinter? I have a '96 Toyota Camry. I just put $900 on it for all kinds of work and it was worth it because it always starts when I need it. I try to take care of it very well. That sounds like a reliable, responsible car choice. Wouldn't expect that from you. Well, I don't know how many people would drive a '96 Camry, but I sure like mine. It's gray. Have you guys been to SXSW many times before? Yeah. We'll be the old, cranky guys in the Mercedes Sprinter. They'll all be so jealous.